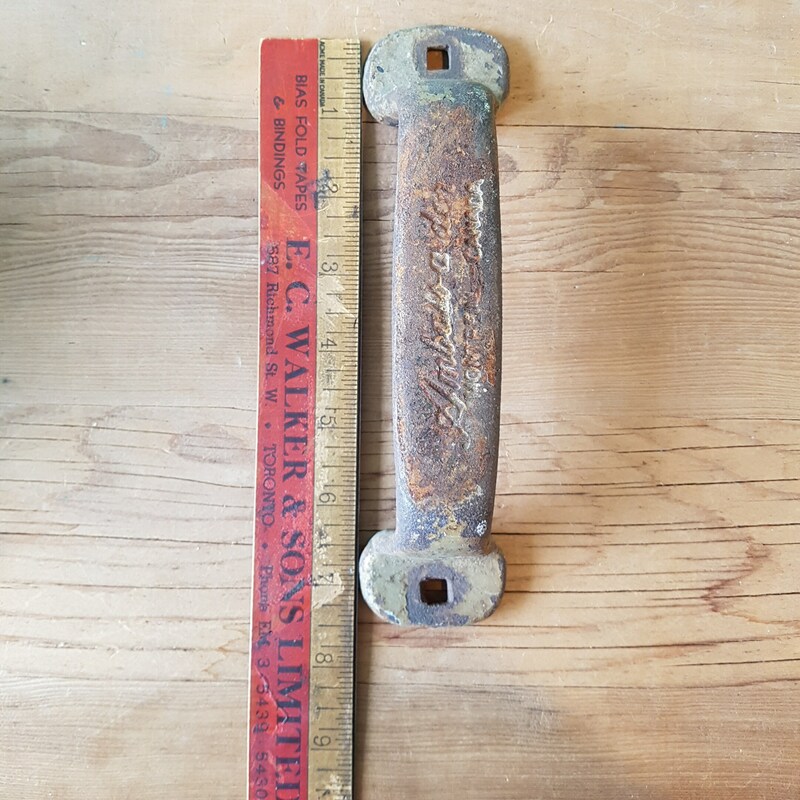 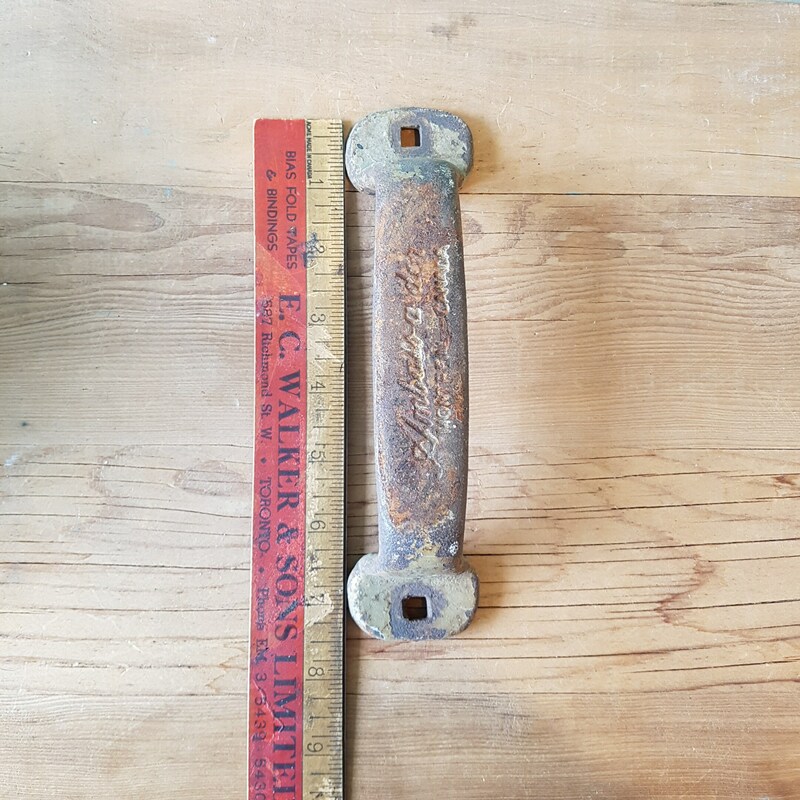 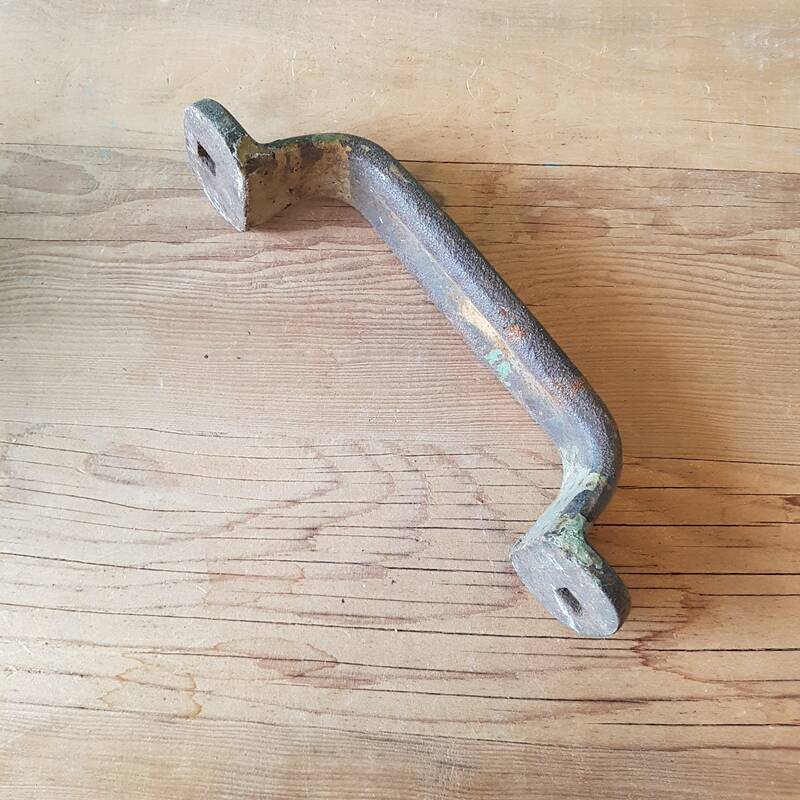 Thick solid iron gate handle for your rustic gate. 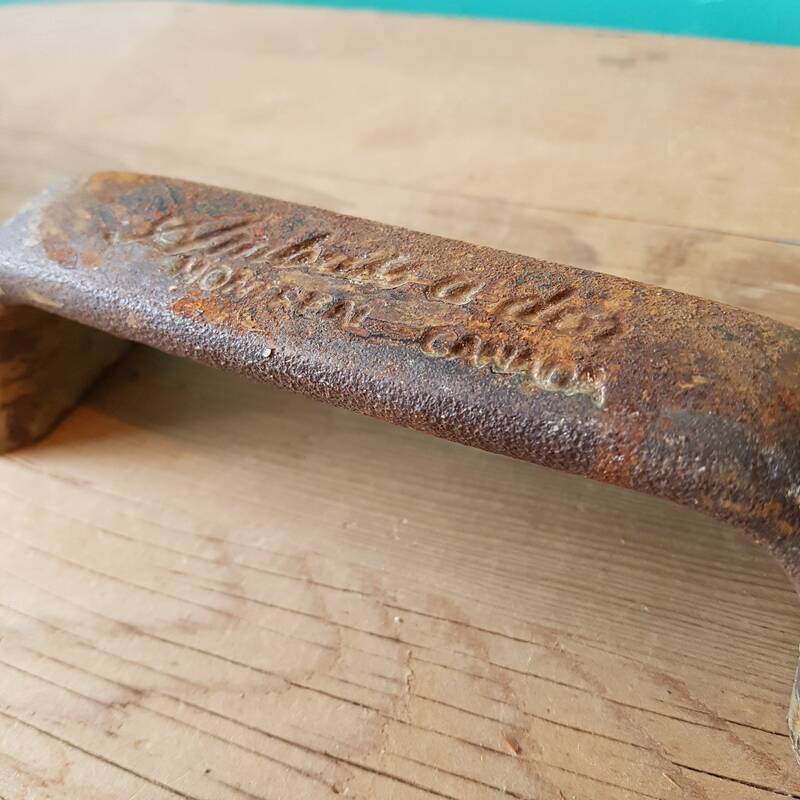 Stamped with company name and Montreal Canada on the front of the handle. 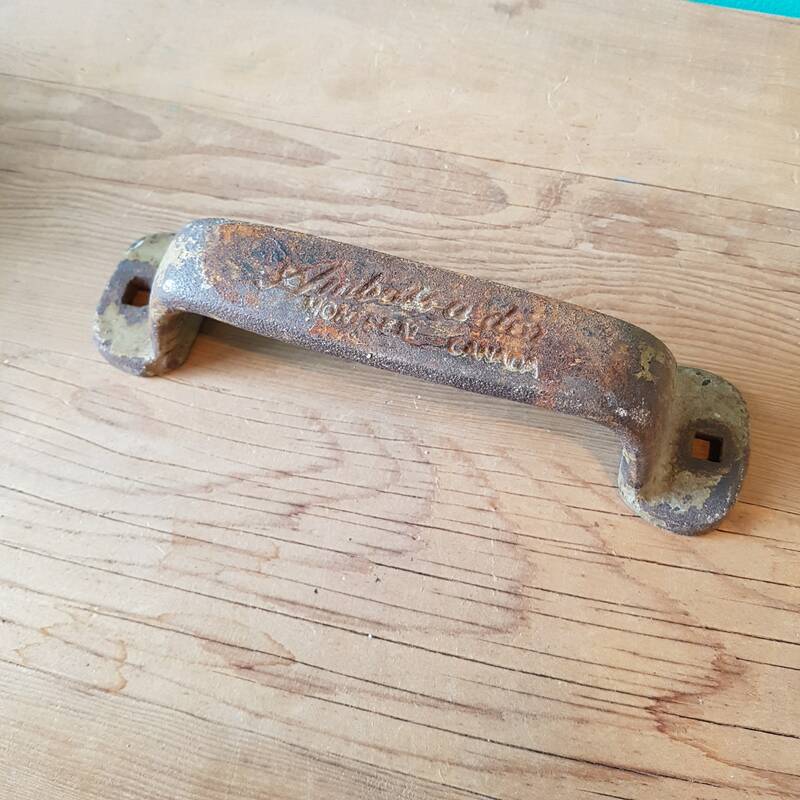 Left in the condition it was originally found in, you can remove the rust with a wire brush or leave it as is for an authentically rustic style.